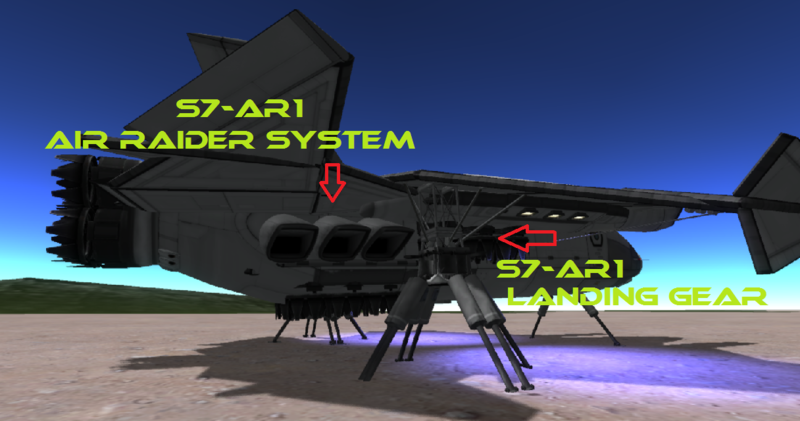 This craft sports new product from Sector 7 Space Laboratories VTOL Dropship Division other than the Craft itself, an Air Raider Engine System S7-AR1 and an Air Raider Landing Gear S7-ARLG1. Operations: The craft holds a course better above 100 m/s without RCS, otherwise you will need the RCS for holding a good course. Fuel Capacity is enough to get you to the Air Base on the Island and back if you are using your fuel wisely. When approaching the a landing zone reduce speed to quarter throttle, engage lift engines and kill the rear engine, as your reducing altitude use the W & K to assist with descent speed as you land. 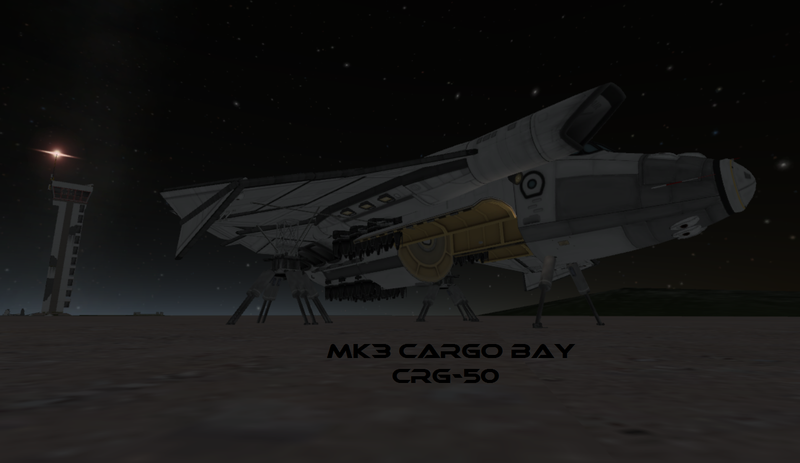 Flight Controls listed below, for craft file click on the craft name. 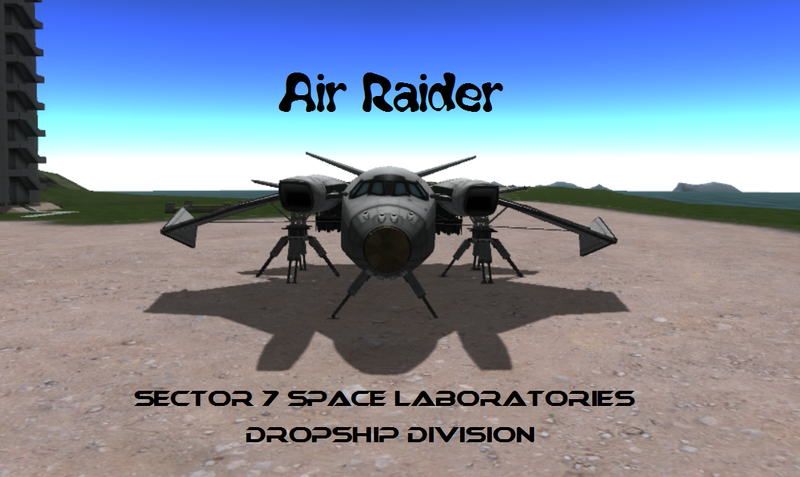 A stock aircraft called Air Raider. 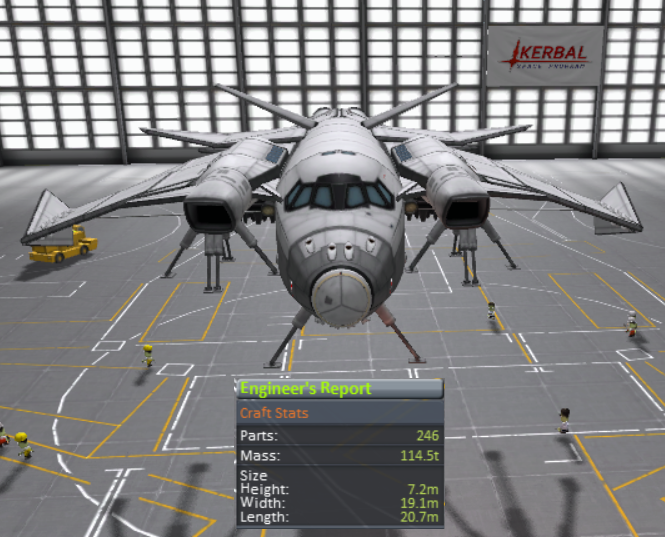 Built with 246 of the finest parts, its root part is mk3Cockpit.Shuttle.